Governing boards of universities and colleges are facing an unprecedented tidal wave of change that is creating new opportunities, risks, innovations, and disruptions within and beyond the confines of their campuses. A board’s ability to be both reactive to these changes and proactive in response will require that they not only have the right members, but that they also have the right committees doing the right work. It is often through these committees that the board conducts most of its work, and many boards have completely transformed their committee structures or are considering doing so. 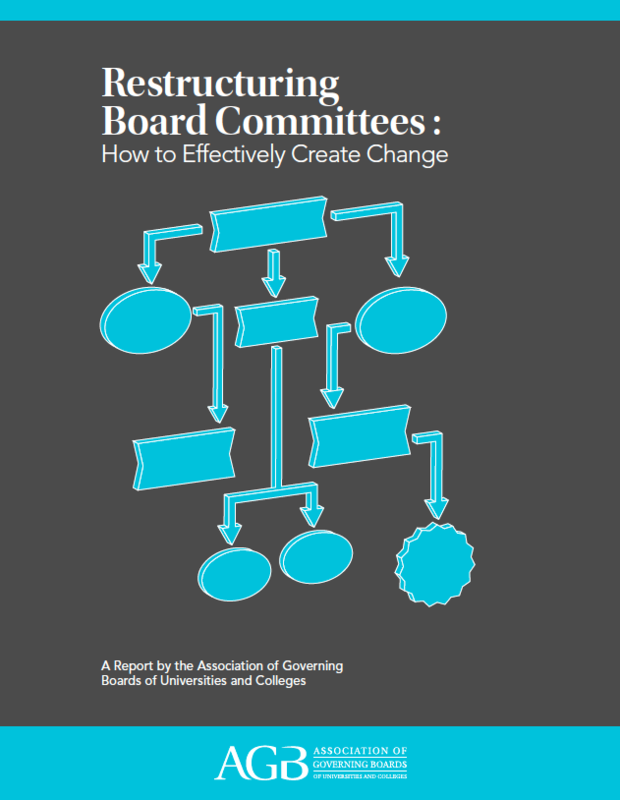 To understand the rationales, processes, and outcomes associated with these changes, AGB interviewed key board members, staff, and administrators from 19 colleges, universities, and systems whose boards had recently rethought their committee structures. Through our interviews, we also identified the key steps that defined this process of change, the various committee structures that emerged, and suggestions for how others might successfully undertake a similar effort.